ALBANY — Airbnb hosts and their neighbors are about to get an education in New York’s new law cracking down on the advertising of illegal short-term rentals. 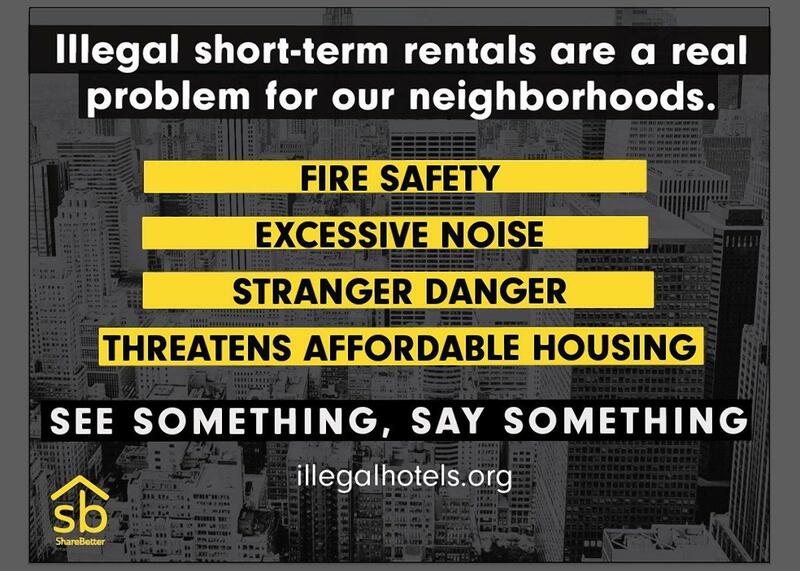 Share Better, an anti-Airbnb coalition that includes politicians and the hotel industry, is launching a new ad campaign and website Tuesday warning about the new law and the costs of violating it. Ads will also encourage neighbors who suspect illegal rentals in their building to alert the city. The ads will run on Facebook, Twitter, Instagram, and other websites. Using a compilation of tracking data, the coalition intends to focus the digital ads on internet addresses in neighborhoods with high concentrations of suspected Airbnb use, including Williamsburg, the East Village, Bedford-Stuyvesant, and the Upper West Side. 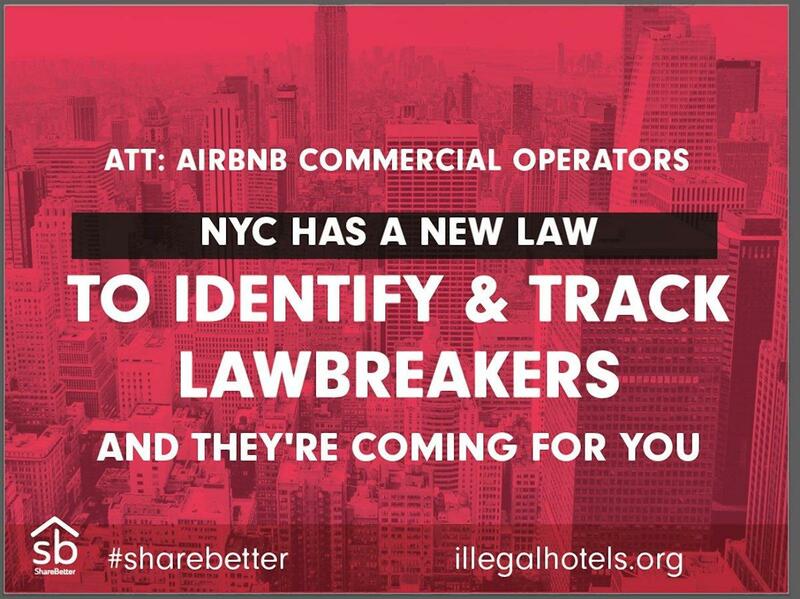 The coalition’s new website — www.IllegalHotels.org — will also feature a “click-to-call” mechanism for users to report lawbreakers to 311. “We need people to know the consequences of illegally renting their units,” said Assemblywoman Linda Rosenthal (D-Manhattan), who sponsored the anti-Airbnb law. Airbnb spokesman Peter Schottenfels blasted the new ad campaign. Signed by Gov. Cuomo in October, the new anti-Airbnb law imposed fines of up to $7,500 for advertising units that run afoul of a 2010 law that banned home sharing in multifamily units in the city for less than 30 days. Rosenthal and other Airbnb critics have argued that the home-sharing site encourages landlords to violate the 2010 law and depletes the city’s stock of affordable housing.